The thrill of victory, the agony of defeat and every emotion in between are what keep us coming back to sports. While some are content to sit back and watch, others are driven to compete, push their bodies to the limit, or even just participate for fun. But what happens when something goes wrong and you find yourself sidelined with an injury? Fortunately, a physical therapist can get you back on your feet and on the field, course, court or road. Call today to discuss your injury and find out how physical therapy can work for you. You don’t have to be a professional athlete to experience a sports injury. in fact, sports injuries can happen to anyone at any time. Those who are new to athletics, no matter what they are, are the most susceptible to injuries as they are not yet accustomed to the form required for specific movements. Experienced athletes often find that pushing themselves to the next level results in an injury. Whether you are trying to beat your personal record in the 5k only to develop a stress fracture in your foot or you are a high school football player with a torn ACL, you are considered an athlete with an injury. Treatment for this type of injury will depend on how severe the injury is, the type of injury it is, additional health concerns that may have an impact on your recovery and how quickly you address the problem. In many cases, working with a physical therapist just after you are injured can help you recover faster and avoid surgery altogether. The only way to know whether you need surgery or physical therapy to treat your injury is to see both a physical therapist and a surgeon for their opinions on your condition. Sports injury rehab is an individual process that requires effort and patients. In every case, you should seek medical attention for your injury as soon as possible. Delaying treatment often results in prolonged recovery times, greater amounts of pain and the need for more invasive treatments. In many cases, physical therapy can be used right after initial treatment to help speed recovery and limit pain. Some injuries may required targeted stretching and strength building. Others may require exercises focused on improving balance and changing your running or walking gait to help your body heal and prevent further injury. In every case, even if you require surgery, your physical therapist will address your need for pain relief through muscle stimulation, thermotherapy and manual therapies such as massage or ultrasound. Regardless of how your injury happened, it is important to understand that “wait and see” is not a viable option for your recovery. 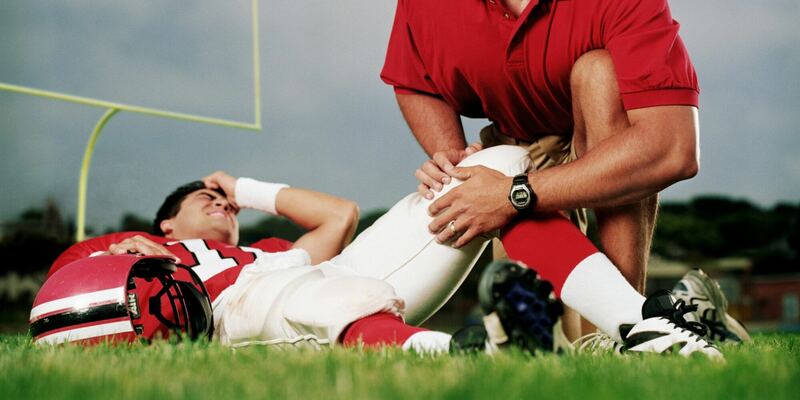 It is important to seek medical care immediately and contact us to see if sports injury rehab is right for you.